The use of mobile devices has become increasingly popular in almost every aspect of life. Whether it is for communication, education, or recreation, they are progressively being seen as complimenting – if not replacing – the age-old personal computer. However, mobile devices are not limited to the personal space. We have now seen their emerging use in healthcare, which comprises of diverse issues to solve clinical problems and surgical education. Expanding access to the latest medical research at the point-of-care to communicating with surgeons globally in real time, surgery is now practiced in a technological era. We found that 94 % of Indian laparoscopic surgery trainees own a smartphone, with 61 % owning an iPhone. 89 % of trainees questioned had downloaded medical apps and used them regularly during clinical activities. As mobile communications and related apps thrive, it is essential for surgeons to remain well informed. 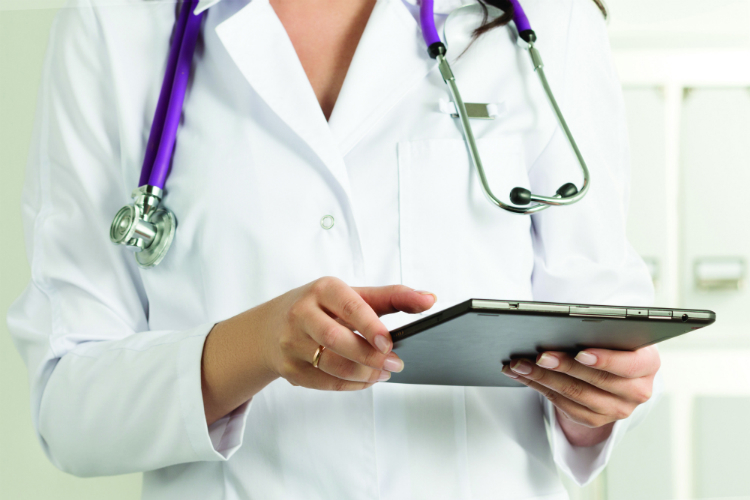 The emerging use of apps and mobile technologies in the healthcare setting has the potential to improve patient safety and reduce the alarming trend of rising medical error rates. Sometimes, finding apps that are relevant and useful can be a challenge. However, with LapGuru app that’s now available on the app store, this hurdle has largely been overcome. LapGuru app is designed to assist in point-of-care decisions, medical education and surgical training for Laparoscopic surgeons. While years of medical school are intended to prepare doctors for the operating room, the benefits of shared information and insights from seniors and colleagues working in the real world can’t be ignored. LapGuru app helps surgeons leverage this shared knowledge in multiple ways. Updates occur daily to provide the latest and most relevant information to the users. LapGuru app currently features more than 2500 live surgery videos. Surgeons and their residents can refresh their knowledge of operative anatomy when preparing for procedures. It puts instant updates at surgeons’ fingertips when reference books may not be practical. For example, if you want to learn lap chole, there are more than 300 videos that probably show you all the possible variations that you will typically encounter in a lap chole. It applies to hernia, bariatric or any other procedure as well. It offers opportunities for surgeons to support preoperative, intraoperative and postoperative care. For trainees, this app is vital to satisfy surgical training requirements and may assist surgeons with documentation for practice purposes. Surgeons can also comment and ask questions while a live surgery transmission. They can also watch CME conferences live via the app. There is ample opportunity for technology to advance healthcare on multiple levels. Empowering surgeons with the right tools allows them to play a more proactive role in patient care as they can have access to wider medical knowledge. As the next generation of technology-oriented laparoscopic surgeons progress through training and begin practicing, it appears inevitable that LapGuru app popularity and desirability will only grow. LapGuru app will help improve surgical performance and safety, thus increasing the quality of medical care. Digital Technology has surfaced as the real force behind the transformation of India, and interventions using technology have transformed several industries, including banking, telecom, transportation, taxation etc. but healthcare continues to lag behind other industries in using technology with patients and doctors. Today, discoveries in medical science, advances in medical technologies, and enhancements in clinical practices are occurring at an increasingly rapid rate. Yet because of a fragmented healthcare delivery system, many patients are unable to benefit from these developments. It’s time we use technology as a force to drive major improvements in healthcare. At Meditorch Technologies, we have designed a platform called LapGuru that can help in achieving the 3 As of healthcare: accessibility, affordability and availability in Laparoscopic surgery through education, training and practice. Healthcare suffers from the unintended consequences of continued prevalence of medical laxity. What happens at times is that the very solutions that were implemented to solve specific issues become the basis for further unanticipated problems. For example, a laparoscopic surgeon has to upgrade his knowledge and skill on a regular basis. In order to achieve excellence in his profession, he is required to enroll in various professional courses which could also mean that he may have to leave practice for a while to travel to a certain place to do a certain course. And if he has to manage so many things before he could join a course, he would probably think not to join it at all. So, these courses will have less participation, which is detrimental to the medical education system. But with LapGuru, there is no such challenge. Laparoscopic doctors can get access to the latest developments in laparoscopic surgeries at the click of a button. The benefits of enhanced knowledge and skill are transferred to the patient through better outcomes. There is enormous potential for digital technology to improve many aspects of how we look at healthcare training and outcome. 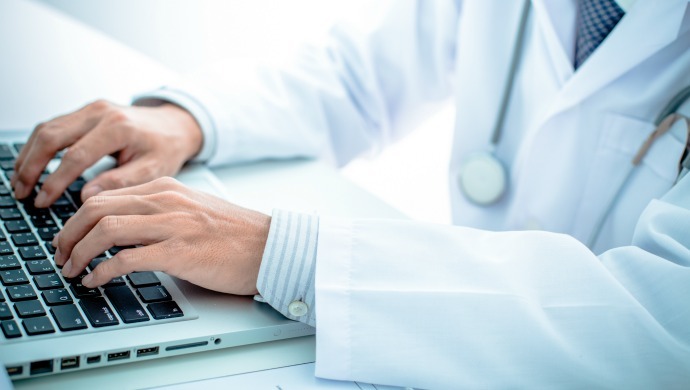 Digital learning and training tools have a definite role to play in not just training more doctors and enhancing their skills, but also enable them to deliver superior care to their patients. Prospects for using mobile technology have improved significantly in the last few years with the increase in the number of smartphone and tablet users. LapGuru platform and app enables the doctors to use digital technology to research information online, share experiences and identify treatment options, anytime, anywhere. The increase in capability and decrease in costs of the technology means that financial barriers are becoming less of a concern. For example, medical seminars and conferences are considered an important learning tool for doctors. Many doctors, especially in rural areas can’t attend them just because they can’t afford the high expenses, i.e. spend a lot of money on travel and accommodation beside the regular fees for attending the seminar or conference. This is especially true for the doctors in developing countries. But with live video conferencing, LapGuru has provided a perfect solution. Doctors can watch the conferences at their own convenience from anywhere. ‘Everything should be made as simple as possible, but not simpler,’ said Albert Einstein. Technology is the harbinger of both, tremendous forces for change and tremendous opportunities for transformation. At LapGuru, we have been fairly successful in making use of technology to bring about a change in how laparoscopic surgery education is imparted to bring a transformation in patient care.